If you have switched to organic food to reduce the amount of unhealthy chemicals in your diet, you may be looking for less expensive ways to enjoy the organic produce you love most. One way to save on your organic produce is to grow it at home. Not only is homegrown organic produce less expensive, but it is safer and healthier for you and your family. 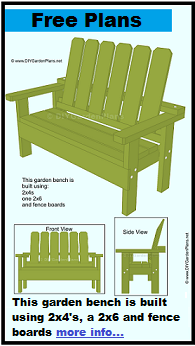 One of the most popular organic gardening choices for your home garden are organic tomatoes. Tomatoes are easy to grow, versatile, and can be eaten fresh, or can be turned into canned or frozen soups and sauces. Below are a few things to keep in mind when gardening tomatoes. According to a study done by the University in California, organic tomatoes have a higher level of naturally occurring flavonoids. While flavonoids is a word you may have heard, you may not be particularly familiar with them, and how they are beneficial to your body. Flavonoids are a compound that is naturally occurring in many fruits and vegetables. They are important because they help your body to eliminate free radicals. By eliminating free radicals in your body you significantly reduce your risk of illness and disease including heart problems, dementia, and cancer. Tomatoes are easy to grow, even for novice gardeners. Your soil and climate may restrict the types of tomatoes you can grow, but you are sure to have many varieties to choose from. A popular selection for many gardeners are heirloom tomatoes which are hearty, nutritious, visually appealing, and come in a variety of colors. Heirloom tomatoes are also difficult to find organically in grocery stores, and are one of the more expensive varieties of tomatoes—which makes them an ideal choice for your home garden. You can grow your organic tomatoes from seeds or small seedling plants. For the best odds of success keep your seeds or plants in a greenhouse until they are 6-7 weeks old, when they are able to thrive more successfully in your garden. Because tomato plants will grow into large and full plants you want to space them at least 36 inches from each other, and when planting in a hanging basket or area with a low ceiling, ensure they have around 2-2 ½ feet to grow in height. 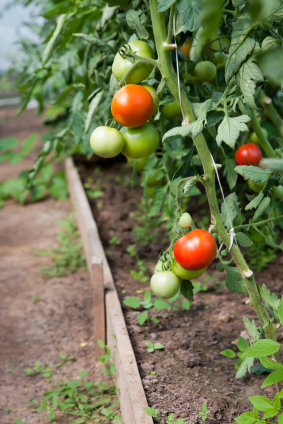 Tomatoes only need to be watered 1-3 times a week depending on the heat and humidity in your local climate. If you enjoy tomatoes consider growing organic tomatoes in your garden, on your patio, or on your balcony.